The business aviation market has seen a number of significant changes in recent years. As a result of the rise of globalisation, international markets have expanded, thus broadening the horizons of numerous industry players. The sector has also seen a marked increase in the number of individuals purchasing their own private aircraft. This shift to private individuals is driving renewed focus on the cabins themselves, with a higher percentage of custom interiors. In turn, this has seen growing investments in interiors in order to enhance cabins to support a broader range of missions, beyond basic business applications. One company shifting its strategy in response to these market developments is US-based Gulfstream Aerospace. Not only has the company expanded into international markets in recent years, its client base has changed as well. Previously Gulfstream Aerospace’s business was conducted primarily with companies, but today more than 30 percent of its business is with private individuals – a trend that is set to continue. To discuss these changes and consider what’s in store for the future of the company and the aviation sector at large, World Finance spoke with Mark Burns, President of Gulfstream Aerospace. In your opinion, where is the business aviation market heading? Only 10 years ago, less than 20 percent of our business was based outside of North America. Today, more than 35 percent of our fleet is international, and our backlog is more than 50 percent international. Asia-Pacific is now our largest international market, with nearly 300 aircraft. The industry is undergoing profound change. Manufacturers must innovate more as customer expectations continue to grow and evolve. 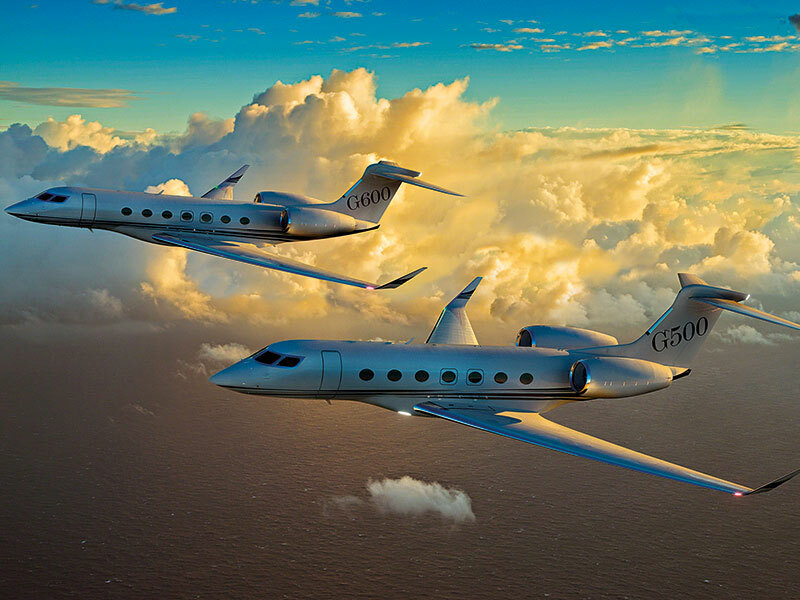 Customers want to go much further, much faster, which is why the Gulfstream G650 and G650ER have done so well in the marketplace. Clients are also spending more time in their aircraft as a result of these longer ranges, which requires manufacturers to advance in terms of interior design, in-flight connectivity, in-flight entertainment and the overall cabin environment. What is required for the industry’s continued success? In addition to innovating, it’s also important that we create awareness around the world about the benefits of business and private aviation. While those advantages are well known and understood in some regions and industries, in others there is more work to be done to truly illuminate how business aviation saves time, enhances safety, provides more security and allows more direct travel. The need for business aviation will continue to grow as the world’s economy becomes more interconnected. As companies expand their businesses around the world, the need to travel efficiently and productively becomes more important. How do you respond to the changing needs of your customers? Gulfstream has a strong continuous improvement culture, and customer feedback is an integral part of this process. We solicit customer feedback through our Customer Advisory Board, which has been in place for 20 years, and we also conduct routine surveys with our customers following service visits and aircraft deliveries. As well as running operator forums around the world, we also have an Advanced Technology Customer Advisory Team in place to provide input on future technologies and products. Their input was instrumental on the G650 programme to ensure the aircraft met the needs of our customers. For our newest aircraft, the Gulfstream G600, we have showcased the cabin to solicit customer feedback on the new interior. We incorporate the feedback we receive from all of these venues into the products and services we offer our customers. What role do technology and innovation play in business aviation? Technology and innovation are crucial to the success of business aviation. We believe it is extremely important to deliver on our promises, as well as meet and exceed our customers’ expectations. Technology and innovation have allowed us to deliver 1,000 nautical miles more range at Mach 0.90 for the G650, and provide more range and shorter take-off distances for the G280. Finally, we were the first business-jet OEM [original equipment manufacturer] to introduce and certify significant safety features, such as enhanced and synthetic vision. Our two new aircraft, the Gulfstream G500 and G600, are an example of how the tradition of innovation can shape an industry. Those aircraft feature the Symmetry Flight Deck, which offers a truly transformational flying experience. This novel flight deck features several innovations, including touchscreens, which reduce the number of switches in the flight deck by up to 70 percent, and active control side sticks, which enhance the coordination between pilots by allowing them to see and feel each other’s actions. Gulfstream is the first business jet manufacturer to offer the active control side sticks, adding to our extensive list of firsts. Continuous improvement is woven into the Gulfstream culture, so doing things better and more efficiently is always at the forefront for us – whether we’re designing aeroplanes in engineering, joining a wing to the aeroplane’s fuselage in manufacturing, or replacing an engine at our service centre. We’re never satisfied with the status quo.